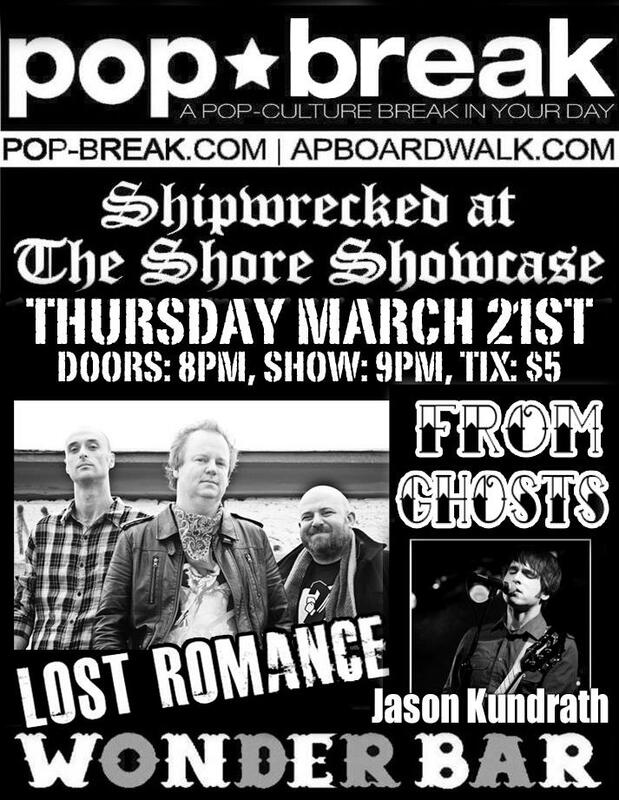 Pop-Break.com’s monthly ‘Shipwrecked at the Shore’ Music Showcase returns to the famed Wonder Bar in Asbury Park! There will special guests jumping in throughout the night and we’ll update you as soon as they are confirmed. As always…Doors: 8pm, Show: 9pm, Tix: $5…21 & Up only. 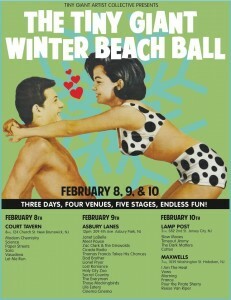 February 8, 9 and 10 2013 the stages at The Court Tavern, Asbury Lanes, The Lamp Post and Maxwell’s will be graced by 30+ Tiny Giant Artist Collective Bands. 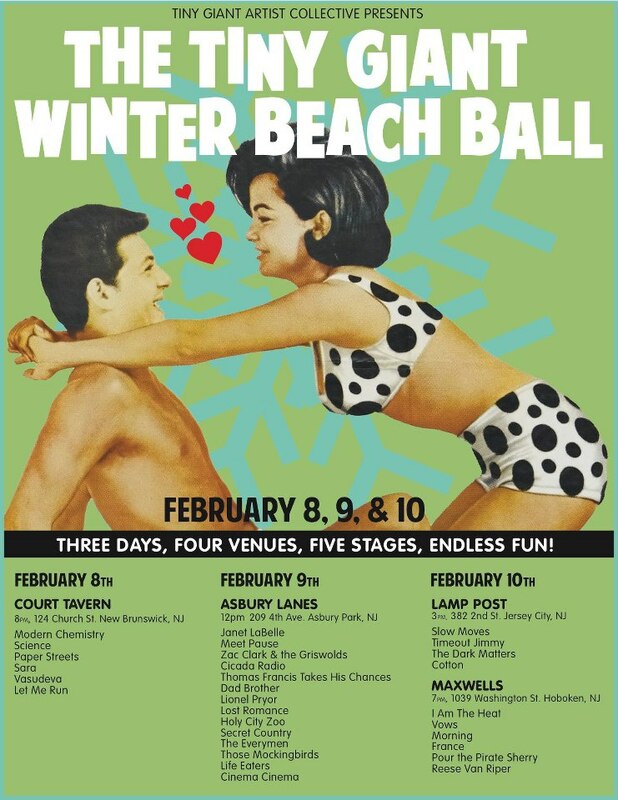 Known as the Tiny Giant Winter Beach Ball, Lost Romance is set to play this amazing 3 day NJ based festival at Asbury Lanes on Saturday, February 9th along with fellow Tiny Giants The Everymen, Those Mockingbirds, Holy City Zoo and more! Lost Romance Donates Track To Sandy Relief Digital Compilation w/ Real Estate, Nicole Atkins, La Sera, The Everymen & more. 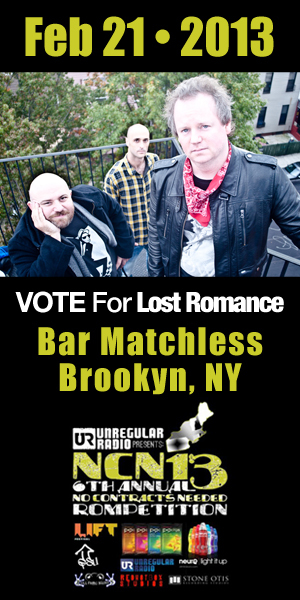 November 19th, 2012 – Lost Romance is extremely proud to be part of this amazing digital benefit compilation for those affected by Hurricane Sandy. Put together by our friend Mike V in The Everymen, we donated our track “Top Of The World” recorded live at The Saint which is one of Asbury Park’s most notable venues. 52 songs for $5! with 100% of proceeds going to the American Red Cross. Featuring Real Estate, Nicole Atkins, Those Mockingbirds, La Sera and more!! “Hey Sandy, We’re Still Here” is a rock and roll benefit featuring bands from near and far, all of whom have some connection to the areas affected by Sandy.Among its dozens of tracks, Hey Sandy features a new song from Shark River Hill’s Nicole Atkins, a b-side from Ridgewood’s Real Estate, a never-before-heard track by Jersey City’s American Watercolor Movement, a song from La Sera (aka Kickball Katy), an early interview of a young Neil Hamburger by a pre-Best Show (and one of Jersey’s favorite sons) Tom Scharpling, a brand new song from Tuckerton’s The Everymen, a new track from Bayonne’s Cold Fur which boasts former members of Rye Coalition, songs from Those Mockingbirds, Cinema Cinema, pow wow!, Holy City Zoo and I Am The Heat, along with contributions from bands and artists from all across New Jersey, New York and Connecticut. We even went bi-coastal and scored a track from Los Angeles indie rockers NO. For a minimum donation of $5 (after $5, it’s pay what you want with absolutely no maximum) you can get all the songs on this compilation, with your donation going straight to the American Red Cross. Please help out, donate, enjoy and most importantly, spread the word. 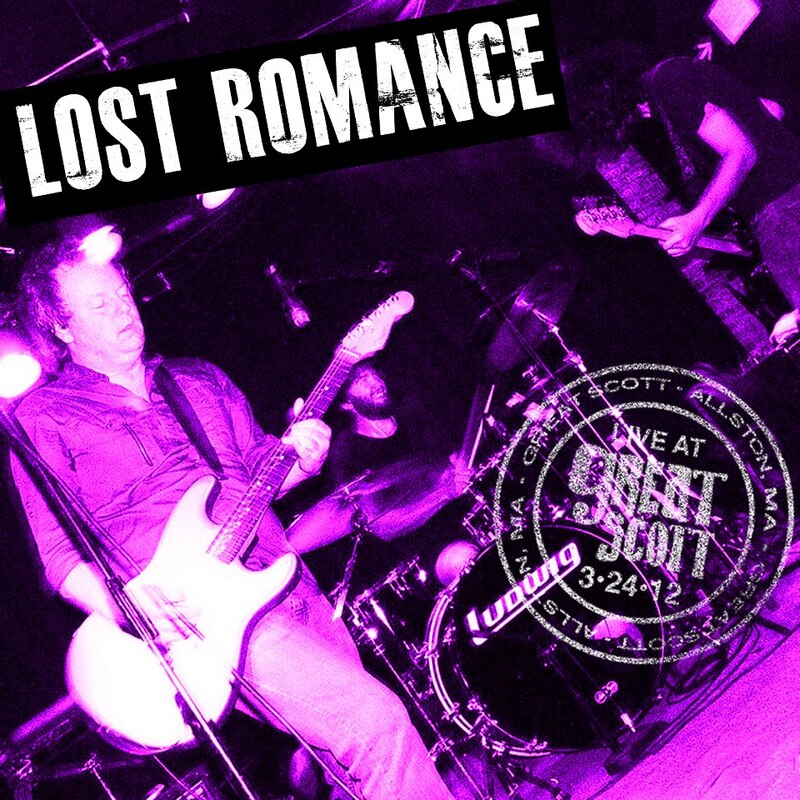 New Brunswick, NJ based alt-rockers, Lost Romance will be releasing a digital only live album called “Live At Great Scott” on November 27th, 2012. Recorded at Great Scott in Boston, MA on March 24th, 2012 in front of a packed house of about 200 fans, the album will be available for free download on the band’s Bandcamp page, http://lostromance.bandcamp.com. 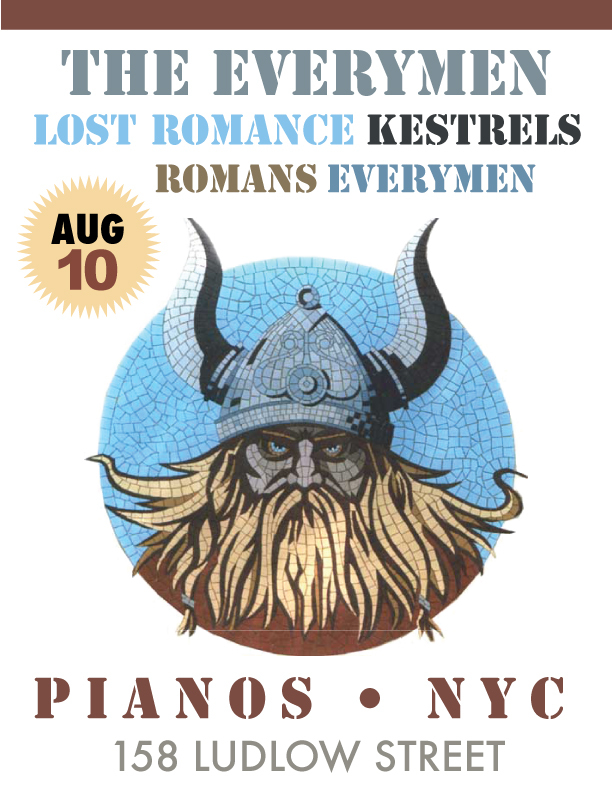 Lost Romance Plays Pianos August 10th, 2012 With The Everymen, Romans and more! Killer lineup including our friends and fellow Tiny Giants, The Everymen. Lower East Side craziness! Come out this Thursday, July 19th for a Tiny Giant Brooklyn Takeover!! We’ll be livin’ life in the fast lane at awesome new venue The Grand Victory in Williamsburg. So put the pedal to the metal and getchur buttz to this show! 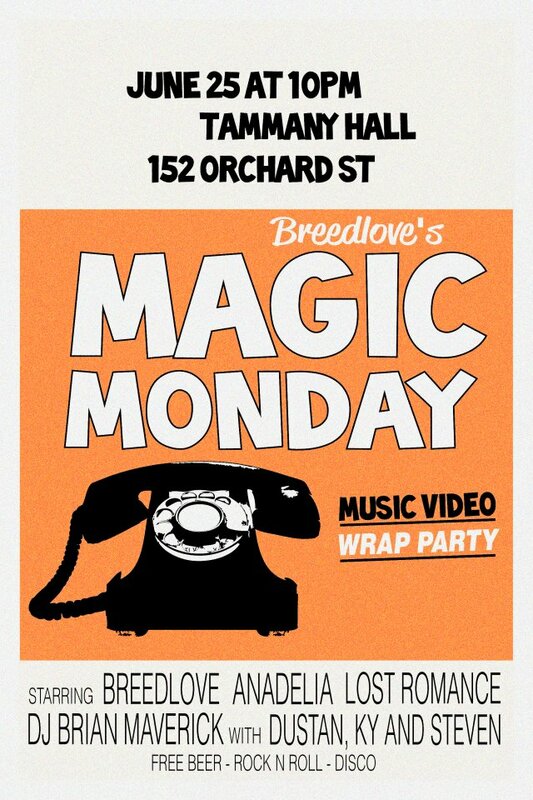 Magic Mondays w/ Breedlove is a weekly party on the Lower East Side. If ABBA and Three’s Company had a baby, it would be Breedlove. 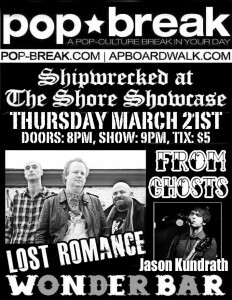 We’ll be opening the night and are psyched to be on this bill! Last Monday, Andy Rourke from The Smiths and Dee Snider from Twisted Sister stopped by. Who knows who might pop in this Monday? Show up and find out! 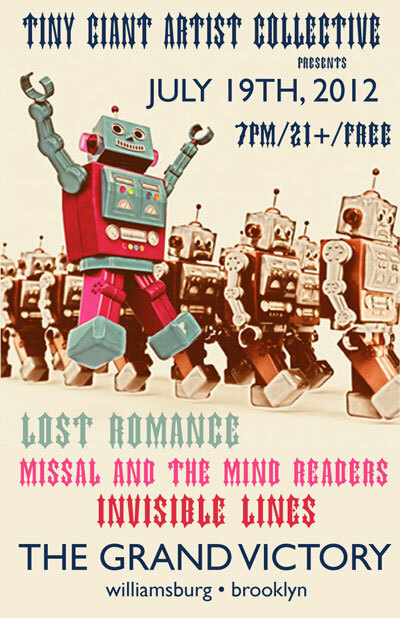 Lost Romance to play at the 5th Annual Seaside Music Festival. The festival will take place on May 17-19th, 2012 at various venues throughout the shore resort town of Seaside Heights, NJ. They will be at Jack N Bill’s located at Porter Ave. & Boardwalk, Seaside Heights, NJ on Saturday, May 19th, 2012 at 7PM Sharp. The festival is free to the public. 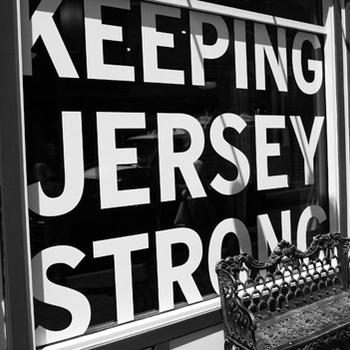 Come stop by and say hello and enjoy some great original rock ‘n roll on the Jersey shore with us!